Writers, John Ostrander and John Arcudi (The Mask) twick Joseph Samachson’s original origin with Dr. Saul Erdel accidently transporting J’onn J’onzz from Mars (called Maleca’andra) to Earth (Per’landra) where he’s killed during an explosion instead of a heart attack at first contact with the Alien Atlas. 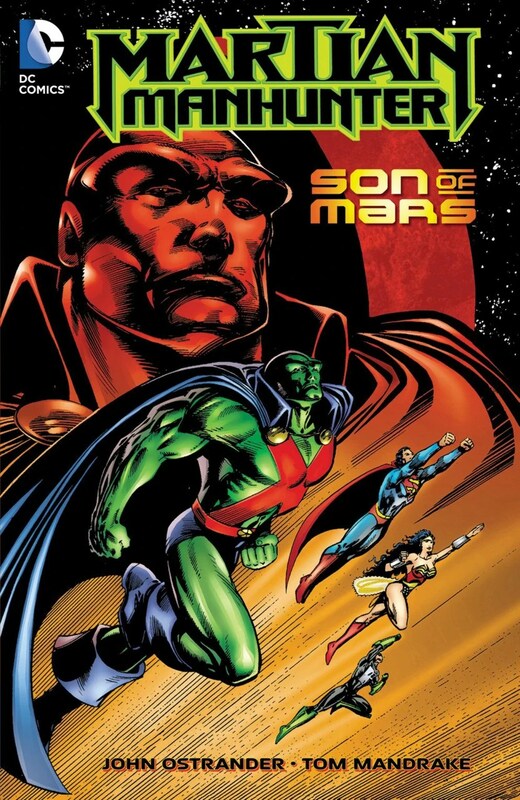 The Green Martians known using their telepathy as one to basically mindrape J’onn’s evil twin brother, Ma’alefa’kk or Malefic ultimately responsible for Mars’ civilization downfall was really extreme. J’onzz having to cut himself mentally off from his people in order to survive including his wife, M’yri’ah going berserk reaching for her daughter, K’hym despite the fire called H’ronmeer’s Curse plagues their minds aswell-as bodies to be pretty affecting. Diana Prince unsure about J’onn’s mentality which escalates suddenly when Malefic manipulates J’onzz into attacking his allies. J’onzz blasting his arm off with his face in palm like Vampire Hunter D’s parasite very slowly regaining his memories to escape sudden death to be grisly but clever. Aquaman trully believes-in J’onn (one telepath to another) despite evidence stacked against his fellow comrade. Arthur Curry’s anger displayed here is warranted that a loose canon like Helena Bertinelli aka Huntress being on the team as Batman’s fill-in even though it’s Peter David’s verison. However, Martians being able to artifically create environments on other planets, genetic engineering (their enemy, White Martians), I wouldn’t be surprised David Goyer (Blade: Unholy Trinity) read this before showing his true colors. Orstander along-with Arcudi make too many Man of Steel similarities by means of J’onn having his own Fortress of Solitude in Antarctica plus a city/hovercraft called Z’onn Z’orr Malefic imprisioned in a Phantom Zone style trap. The framed-for-murder story I’m not fond of turns up sadly enough. Your obsessed character (Cameron Chase, agent for Department of Extranormal Operations) comes in hellbent to catch the wrongfully accused (J’onn) for when the real colbrit (Malefic) that it’s not even resolved after his alter-ego’s co-worker, Karen Smith found out his secret while threatening to expose him out-of-spite prior to her death. 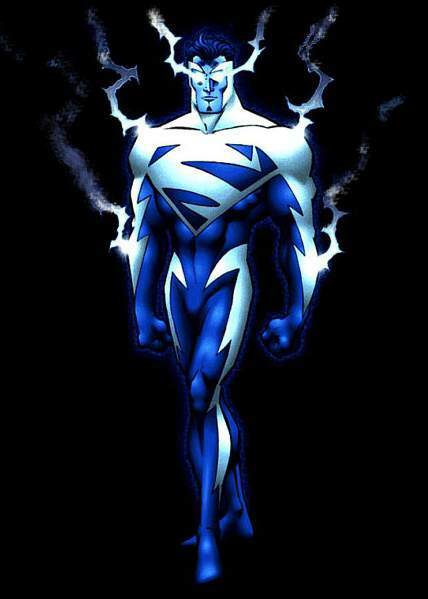 Lightning Man of Tomorrow appears at one point during a League meeting ill-advisedly. Ressurrections are brought up when J’onn “dies” afterwards which wouldn’t be the last. Helena, Big Barda, and Orion all wanting J’onzz’s head-on-a-plate after they discovered Malefic (as his sibling) horribly experimented on humans to bring his twisted side of the deceased Red Planet into fruition. 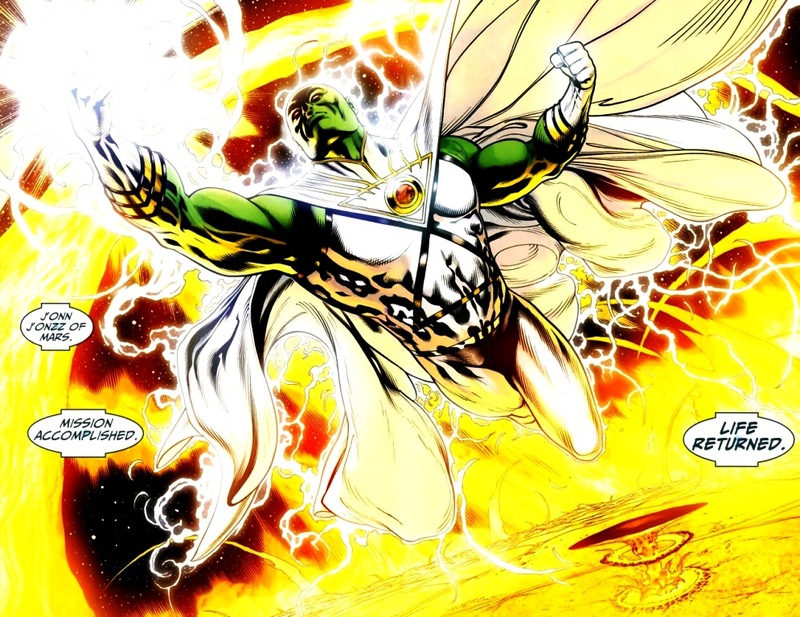 Overall, there’s enough interesting lore to surtain reading about one of staple Justice League members.